​We don't paint a tub.We Reglaze it. Our odorless material gives old bathtub new clean look. ​We repair badly rusted overflow holes and drains. 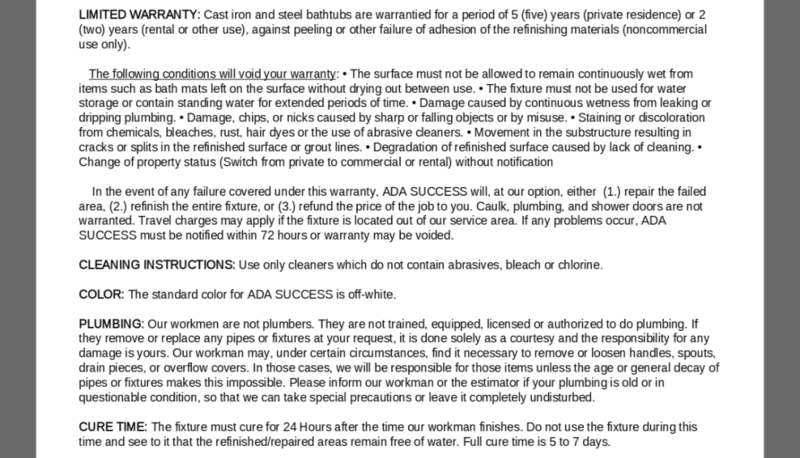 ​In preparation for reglazing all rusted parts of your tub will be fixed. ​We fix chips and scratches with the whole tub reglazing or without. ​​Our refinishing techniques let us repair small flaws on tubs surface quick and easy. ​We change unwanted color to off white. ​​Any retired colors we'll change to off white-our customers long time favoite.